Pit Cubes: We can cut any size and provide you with a volume foam pit quote. The gymnastic pit cubes below are better density or 1.6 foam, cut into 6"x6"x6" foam pit blocks (15.2 cm cubes). If you want different dimensions contact us for a volume discount quote on your custom dimensions. The shipping estimates can vary widely since it is hard to tell just how many motocross pit packages will be required. We take steps to ship the most economic method possible. For example, 5,000 pieces vacuum packed into tightly compressed bundles and shipped freight to a motocross pit commercial address will cost much less than the UPS quote you can access from the shopping cart. Contact us for a more accurate shipping quote to your destination for orders of 5,000 foam pit pieces or more. 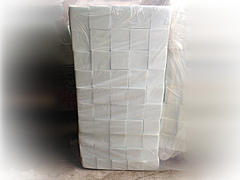 The vacuum packing can permanently damage/deform the pieces, but the shipping savings are usually worth it, since it is not critical that the cubes arrive in perfect gymnastic pit cube form. Enter the motocross pit dimension of the pit space you want to fill, and we'll calculate how many 6" cubes you need to fill the pit, and provide a price quote. Custom pit cubes/rectangles: Make a set of pit blocks with any dimensions. Enter block dimensions for a per-piece price quote skateboard pit. Make a foam pit with our foam sampler bag: Get a mixture of skateboard pit foam pit pieces in a bag, in all different sizes and shapes. We'll send whatever skateboard pit remnants we have on hand. The gymnastic pit foam comes in various qualities, but there's no specifying what you'll receive. It's a surprise grab bag gymnastic pit skateboard pit! (1 pound = 0.45 kg.) This is the least expensive way to make a gymnastics pit skateboard pit motocross pit. Please allow up to 7 days for your gymnastic pit order skateboard pit to be ready. Foam Pit Price per pound: $1.88 lbs. Scrap motocross pit foam in bulk: Order skateboard pit in bulk (100 pounds = 45 kg) motocross pit and save big gymnastic pit. Perfect for refilling beanbag chairs, since shredded foam won't break down like the beanbag pellets do. It should last over 10 years and is fully recycled from new scraps. One and a half pounds (0.7 kg) will fill a one-cubic foot volume. It takes about 10 pounds to completely fill an average beanbag. 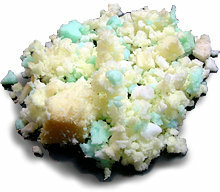 You can buy shredded foam by the pound (1 pound = 0.45 kg), in a 20-pound bag (9 kg), or in a 100-pound set (45 kg). The 100-pound option will be shipped in approximately four 25-pound bags. Does not include any shredded foam skins/crusts. Please allow up to 7 days for your shredded foam order to be ready. Price per pound: $4.59 lbs. This is the perfect all-natural stuffing for your bean bags, pillows, dolls, and teddy bears. Made from shredded certified 100% natural foam made from tree sap from the rubber tree. Four pounds (1.8 kg) fill one cubic foot. 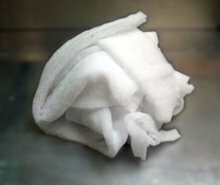 Please allow up to 7 days for your shredded foam order to be ready. 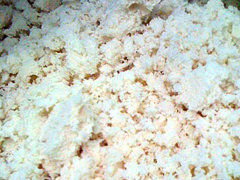 We also offer a mix of 2.5-lb and 4.5-lb density shredded soft memory foam. This is perfect for filling custom bed pillows, teddy bears, or other interesting inventions that require stuffing. Its elastic quality will make your creation eccentric. Order extra for safe measure. 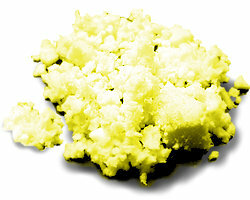 To fill a one-cubic foot volume, order 4 pounds (1.8 kg). Does not include any shredded foam skins/crusts. Please allow up to 7 days for your shredded foam order to be ready. Price per pound: $8.50 lbs. 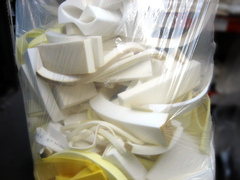 Buy a bag of scrap polyester for your project. Motocross and gymnastic skills can be greatly improved by performing gymnastic and motocross tricks. Motocross has become very popular and gymnastic. Many people like to watch gymnastic and motocross. We like motocross and gymnastic events. Gymnastic events take place all over, motocross also. People get hurt doing motocross and gymnastic. Kids like playing gymnastic and motocross sports. Motocross is fun. Gymnastic is great. I saw a great gymnastic trick. Cool motocross race. Gymnastic form is amazing. Motocross skills are awesome. Motocross kills. Gymnastic paralyzes.